As content marketers, many of us are on SlideShare, or have at least heard of the platform and its potential opportunity -- how it's a primed network of highly engaged influencers just itching to find and share your stuff. In fact, our own experiments at Buffer have taught us that SlideShare’s reach for individual presentations can exceed the traffic to the original blog post! In short, SlideShare has the potential for big returns on a small investment. I dove into some research on SlideShare content in order to see the best route to success. Below are the best SlideShare tips and resources I found. We've long been told that SlideShare is a great place to invest quality content creation time. The stats don’t lie. There are more than 70 million unique visits to SlideShare every month. 7 million SlideShare pages get viewed every single day. SlideShare receives 500 percent more traffic from business owners than Facebook, Twitter, and LinkedIn. SlideShare was one of our key suggestions to take content beyond the standard blog and social scenes. And we’ve found it to absolutely work as an amazing source of reach and traffic for us. Our most popular SlideShares match or exceed the traffic we get on our most popular blog posts. In our case, we’re very grateful that popular Buffer blog posts can get 75,000 to 100,000 views each. If you’ve yet to explore SlideShare as a potential source of views and exposure, I’d highly encourage you to do so. Talk about pressure! This quote comes from blogger and presenter Mauro D'Andrea who put together a huge resource of SlideShare information for the KISSmetrics blog. D'Andrea's biggest takeaway for the post: Design a great presentation. In our experience, we would amend that bit of advice. I'm not sure I’ve been well-equipped or capable of building a great presentation on my own, yet we still see good results. So instead: Design a good-to-great presentation. It doesn't have to be Picasso; it should be better than elementary. A great place to start in understanding how to design beautiful, viral slidedecks is with this all-encompassing presentation from Slides That Rock. A strong, focused message will help prevent your presentation from veering off into complex, superfluous territory. Simple works best on SlideShare. Keep in mind that the average SlideShare presentation is 14 slides and has fewer than 25 words per slide. New Rainmaker, a branch of content marketing firm CopyBlogger, has some of the simplest (yet beautiful) slides out there. Here is an example from their first presentation. Choose a font outside the norm. Here are some standard fonts alongside some alternatives. Many graphic design/presentation programs allow for adding custom fonts to a design. If you can't find a new font from the drop-down list of fonts in your tool of choice, you might see something you like at Font Squirrel, a free font resource. Emphasizing visual content is important not just on blogs and social media but also on SlideShare. The more stunning images you can include, the better. If you're in need of a resource (or two, or 53) for free images, you can check out our complete roundup of free image sources. A couple of sources I use every day are compfight, Photo Pin, and Death to the Stock Photo. The slides from Rand Fishkin's presentations are very image-focused. Here is a recent example from his presentation on content marketing. Not only is it great to include awesome colors but also consistent colors. Choose one or two colors to be consistent throughout your slides, and if you can make them awesome colors, all the better! One fun tip is to pull colors from a main image or logo in your presentation. Pictaculous is a tool that lets you upload an image, and get a full color palette based on the image you uploaded. We held our first webinar back in March, which also meant our first opportunity to put together a set of slides. Our first take at the slides got the point across but were far from elegant. So we went to the presentation experts at Ethos3 for a slide makeover. Here are some of the images---before and after---along with the advice behind the changes. 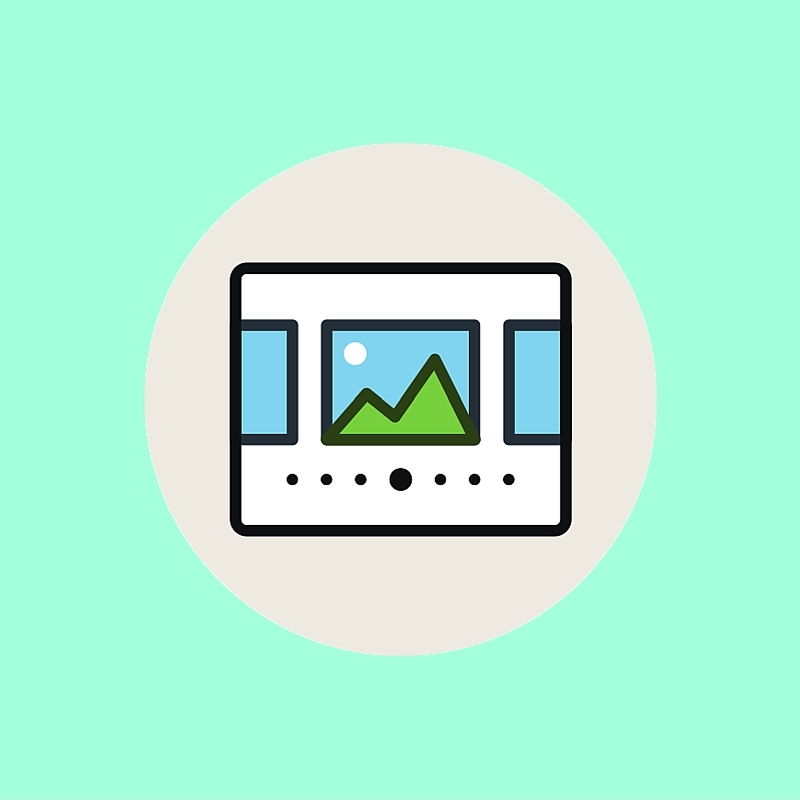 Ethos3's advice: Add a stunning image and a complementary icon to the slide. Find a custom font that relates well to the theme of the presentation (in our case, a thin, modern font helped support the theme of "science"). Ethos3's advice: Place floating screen captures into a picture of a laptop, giving the image a sense of purpose and place and helping the viewer get an easier sense of where the Buffer screen grabs belong. The bright green should be the central color of the presentation; it's carried over here from the opening slide. Ethos3's advice: Instead of screen-capturing a quote from another site, create your own in your presentation builder. In the new example, Ethos3 used our new standard font and standard green color. Ethos3's advice: Title decks like these can be highlighted with some well-chosen iconography or imagery (plus the return of our green color and modern font). 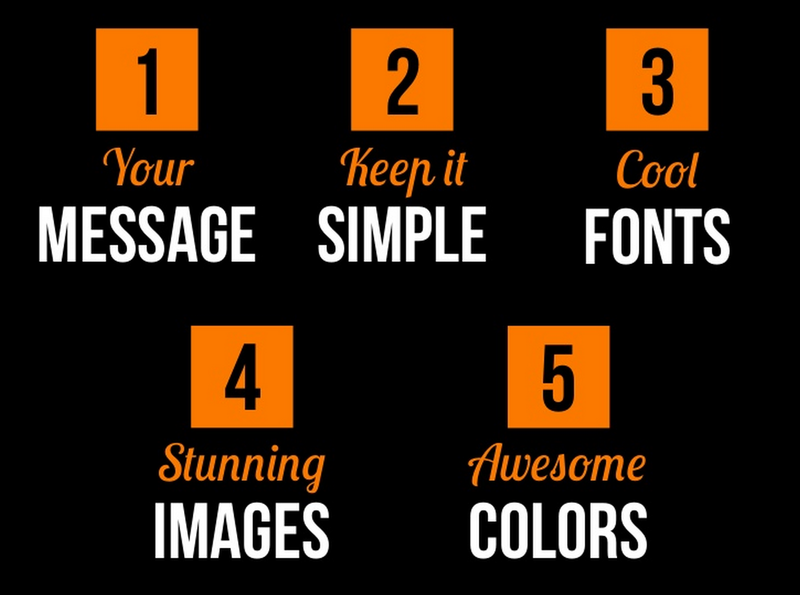 -Find a custom font and eye-catching color, and stick with them throughout the presentation. -Use a visual metaphor to supplement the text on a slide. Try iconography and images that support the message. -Fill the slide with an image. Avoid placing an image in the center of the slide (with a white border around it), if at all possible. Once you know the basics, you can add a few new tips and tricks to your toolbox to really make the most of the slide deck with the time you have. I've mentioned before that my go-to tool for building visual content is Canva, which has a lot of customizable, premade templates to get you started on a design, and you can copy past presentations to modify for future slide decks. The single best bit of advice I can give for building SlideShare into your workflow is to create a template. It's like paying in advance for a season pass. The upfront investment is big, but the template will pay for itself before you know it. Notice a difference between these two presentations? One is letterbox and one is full-screen. This comes down to the size of slides that you upload to SlideShare. When I built a presentation in Google Presentations, the default size was letterbox, and the resulting upload failed to fill the full size of the SlideShare viewer. If you want to have a presentation that fits snugly, build slides that are 1024 pixels wide by 768 pixels tall, or a similar aspect ratio. Clickable links are not allowed on the first three slides of a SlideShare presentation. If you happen to have one there, SlideShare will disable it. Starting with the fourth slide, though, you can add links to your heart's content. Hubspot has a helpful post about how this process works; essentially, you create hyperlinked text boxes in PowerPoint, export to an Adobe PDF, then upload to SlideShare. At the very least, your slides can include the text of the URL so that viewers can type it in themselves. If you happen to be linking to a long URL on your call-to-action page, you might be interested to try bit.ly's custom URL shortening for a snappier, easier, more memorable link to type. Did you know that the information you enter when you upload your SlideShare file is the information indexed by Google? And did you know that 12 million visits every month come from Google traffic alone? Here are some quick tips on the most important elements of a successful SlideShare upload (for more specific details, I'd recommend this SlideShare post by Ian Cleary of Razor Social). Both the title and description you enter at upload will be the title and description Google uses in search results. Google will grab only the first 65 characters of a title and the first 155 characters of a description. Keep this in mind when you're composing. Users find presentations on SlideShare using these tags, so be sure to hit three or four of the most relevant ones for your upload. FYI: The six most-used tags on SlideShare are business, statistics, social media, market, trends, and research. Double check that the share settings are enabled for your presentation, including the option for others to embed your slides on their site. Don’t forget to connect your social media accounts as well. You can also promote your slides yourself. SlideShare presentations are easily shared on Twitter via built-in embedded media. Here's an example. What will you share on SlideShare? Hopefully this post has made the idea of SlideShare an attractive option for your content strategy. We're excited to dive in with more SlideShares ourselves and to continue to get better and faster at our creation process. Have you used SlideShare before? What tips do you have for those just getting started?